Maximize the horsepower on your LTH Long Tube Headers with a high flow X-pipe. LTH offers both a high flow cat and a catless version for the most power possible. The OEM catalytic converters are notorious for robbing the power on the Ford V8. 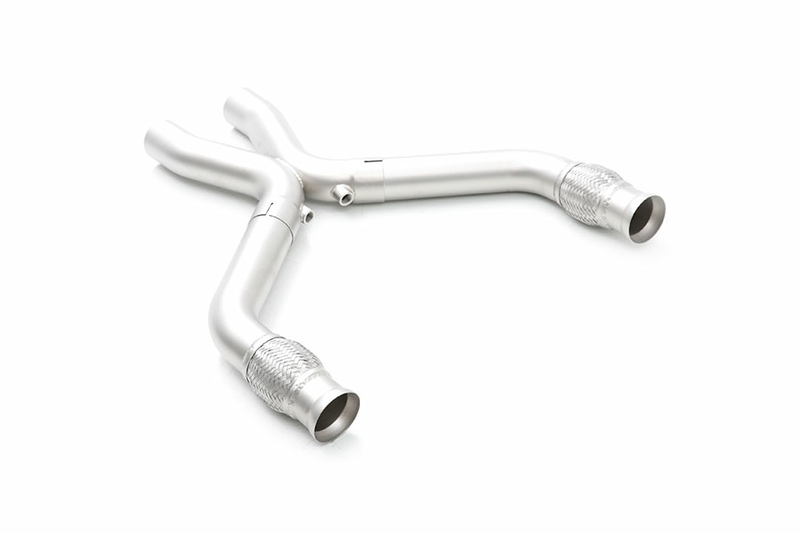 Replace the stock pipe with a high flow X-pipe and catalytic converter or an off road catless pipe to get the most out of your Mustang.